Department for Education website: What is Sustainable Development? Packed full of useful case studies, helpful checklists and practical activities, Cost-effective Sustainability in Primary Schools is an accessible whole-school guide to becoming more sustainable. By reducing water, electricity, oil and gas usage in your school you will not only save your school money, but you will also help to reduce carbon emissions on a large scale. raises awareness of the issues of sustainability among your staff, pupils, parents and the wider community. Cost-effective Sustainability in Primary Schools outlines how sustainability is not just good for the planet and the future of the children who are learning in your school, but also how it can be good for your school budget. This handy guide can be used by all primary schools, including those who are just starting out and those who are already well into implementing sustainable practice in their school. A highly practical and accessible resource, Cost-effective Sustainability in Primary Schools is a one stop resource for sustainability information and best practice. implement a whole-school approach to sustainability. 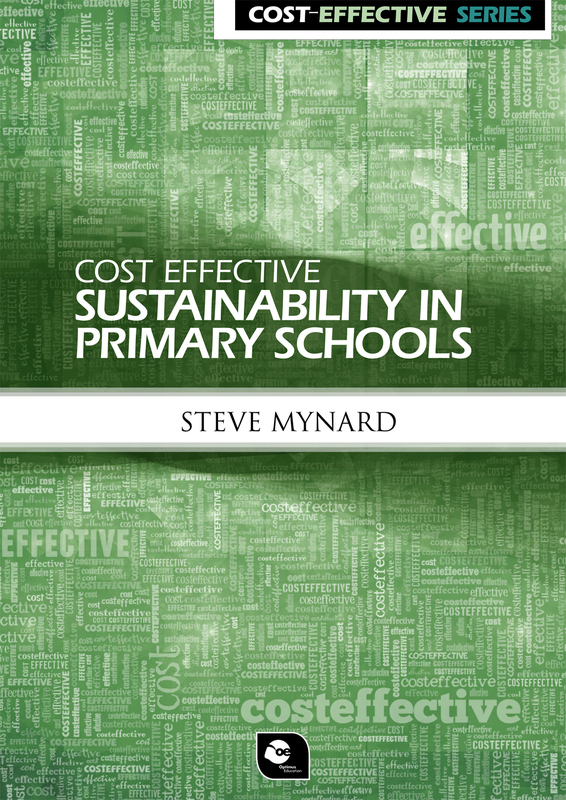 The aim of this book is to help you to enhance and develop sustainable practices across your school using cost-effective methods and resources. Each school will delegate the task of managing their sustainability initiatives to a different person. It might be the headteacher or a class teacher. It might be a teaching assistant or the administrative officer. Whoever is taking the lead in your school, they will find all the guidance they need to get started and keep going in this section. In the summary of each section there is a handy checklist to help you get into action and a short piece called carbon context, which tells you how this area will help your school reduce its carbon emissions. Another section titled Future School speculates how this issue may be addressed by schools in a more sustainable future. You won’t be able to make your school sustainable on your own. You don’t need to. There are a wealth of resources – such as books and websites – out there that you can draw on for inspiration and practical advice. There are also a wide range of organisations who will give you support and encouragement, as well as many companies providing the equipment you will need. There is also some money available. In this appendix you will find details of trusts and other organisations that fund sustainable projects.